Wonderful pattern for a very versatile and drpapey cardigan, seamless, with a large collar and gathered cuffs. 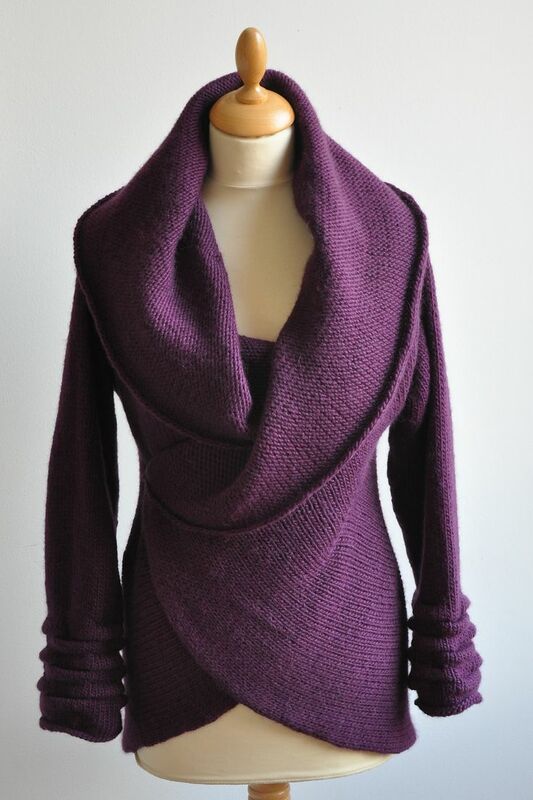 Found this knitting pattern from Pinterest and blew my mind away right after seeing the design. I’m sure that it will take your heart too. But, this is not a free pattern. You have to spend some money to get this pattern, unfortunately. Do you mind if I quote a few of your posts as long as I provide credit and sources back to your webpage? My blog site is in the exact same niche as yours and my users would certainly benefit from a lot of the information you provide here. Please let me know if this alright with you. Thanks! Yes. Of course. Please feel free to use them on your site but, please provide a link back. Thanks.